With almost 1,100 community newspapers in Canada and a weekly circulation of over 20 million, community newspapers deliver grassroots news and events along with local retail flyers and inserts. Local community newspaper readership is strong, with 82% of Canadians indicating that they are local community newspaper readers. 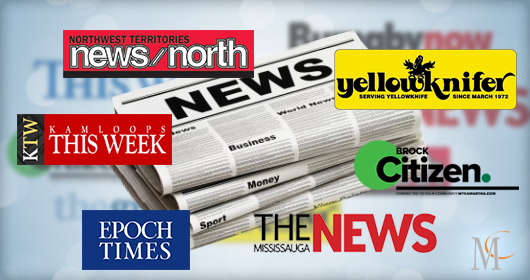 In fact, according to Newspaper Canada, “6 out of 10 adults read local newspapers for the advertising or flyers/inserts”. Community newspapers remain relevant to local residents. 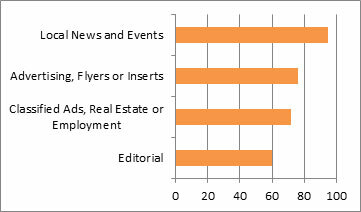 Grocery flyers are the most popular among community newspaper readers with 84% always or sometimes reading them. 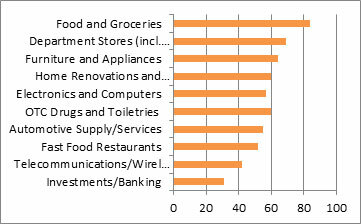 More than 60% of readers are also regular readers of department store, furniture and home renovation flyers.